The advertising industry is in the early stages of a massive reinvention that will result in USD$640bn (£494bn) in annual global ad spend being transformed to programmatic technology. This transformation started with display ads, but will eventually encompass every form of advertising, from TV, to outdoor, to in-car, to mobile, to augmented, and virtual reality. Writing exclusively for ExchangeWire, Jason Fairchild, CRO and co-founder, OpenX, explains why, for this future to be realised, brands must have absolute trust using programmatic technology, where ‘trust’ comes down to the need for full transparency into all aspects of programmatic ad buying. We should start the conversation with an honest assessment of the shifting dynamics impacting the second-price auction in programmatic. The second-price auction has been a crucial component of the transparent, efficient digital marketplace since the beginning of programmatic. Today, the inherent fairness of this auction is under siege. The simplest way to think about the second-price auction is to look at how millions of people around the world buy and sell items via eBay auctions. Sellers offer inventory by setting the lowest price they are willing to accept, and buyers share the highest price with eBay that they are willing to pay, believing that their price ceiling will be held in confidence, allowing for a fair and transparent auction to occur. Historically, SSPs facilitated this kind of trusted environment by establishing ‘dynamic price floors’ that help publishers achieve full and fair value for a given impression as if every interested buyer were able to compete in every auction and cast their bid. The sheer scale of today’s digital media landscape requires this approach due to the multitude of auctions happening at any given second in the day. Dynamic floors, which are the publisher equivalent to an advanced programmatic bidding algorithm, bring balance to the market. They create quality price support and, when done well, return second-price discounts to buyers. This kind of win-win situation, where value is distributed simultaneously to the publisher and to the buyer, represents a core pillar of the quality programmatic marketplace and has helped fuel its growth into the USD$40bn (£30.1bn) industry it is today. These dynamics began to change as header bidding gained popularity, which significantly altered the auction mechanics that had governed programmatic’s early rise. Now, a second-price auction could take a bid with a $20 maximum, clear it with a winning price of $5 (one penny above the next highest bid or dynamic floor) but then, as it passes the winning bid into the ad server, it could potentially lose to a $7 bid – even though the original buyer was willing to pay $20. These dynamics were only exacerbated with the introduction of container technology that enables multiple header bidders to operate at once. 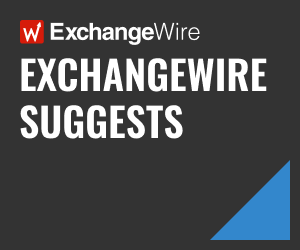 Rather than competing on their feature sets for a long-term partnership, exchanges/SSPs are now fighting one another on an impression-by-impression basis to maximise publisher yield. The result has been an unfortunate return to the wild west days of programmatic, where buyers can no longer count on a standardised second-price auction every time they bid, and agencies and DSPs grapple with a suite of SSPs that all use different mechanisms to determine the winning bid. While the long-term future of programmatic auction logic remains unclear, the near-term future is already revealing itself. In recent months, winning bidders that were used to paying out at a second-price saw clearing prices rise steadily towards those of a first-price auction. To ascertain how these auction dynamics began to dramatically shift, OpenX recently partnered with a single DSP to better understand the changes impacting the market. The effort analysed more than a million impressions through multiple exchanges across nearly a dozen sites and identified several SSPs that appeared to be deploying non-transparent first-price mechanics to significantly increase the clearing price. These exchanges, which know the buyer’s true highest price (‘first-price’), were setting second-price rules that clear an auction at 95% (or higher) of a buyer’s first-price bid. While those auction mechanics may be more common at lower price points, where there is naturally more bid density, the same results occurred consistently for high-value bids in the $10-50 range. For example, if a buyer were willing to pay $40 for an impression, and the typical dynamic price floors would have set the minimum price at $8 to allow for a fair auction to occur, several SSPs were found to have price floors set at 99% of the maximum value. They bid $40 expecting to pay something far less, and end up being ‘first-priced’ and paying $40. In short, the buyers were competing in what was essentially a shadow first-price auction, almost certainly without their knowledge. While this practice may deliver short-term gains to the publisher and SSP involved, it does so to the detriment of the buyer. Sudden changes in auction dynamics cause buyers to overpay, leading to higher CPAs that hurt performance and bring down bid prices (which hurts publishers). Even more important to the overall programmatic market, these shadow first-price auctions do not give buyers the transparency they need into the rules of the game they are playing to effectively optimise their bidding strategies. This erodes trust in programmatic buying. Needless to say, this state of affairs cannot continue unabated. For a healthy marketplace to thrive, both the buyer and the seller must be confident they are being treated fairly. Buyers will not keep paying higher prices for impressions that haven’t become more valuable over the past year and will become progressively more insistent that SSPs provide them with clear ‘rules of the game’ so they can optimise their bidding strategies accordingly. To be clear, this is not an either/or debate between first- and second-price auctions. This is a case study in the need for transparency across our market. Transparent first-price auctions are a needed innovation for certain aspects of our market. First-price auctions work for the ‘meta’ auctions now occurring in containers when they are run effectively in exchanges that invest in quality and transparency. Since DFP runs a first-price auction, within which header bidding buyers ultimately compete, it is most beneficial for buyers who are competing within the container to do so with the same transparent first-price mechanics that compete with the ad server. Regardless of the auction type SSPs settle on, building enduring trust in the programmatic value chain requires buyers have full transparency into how the auctions work, with control over whether their bid is treated as a first or a second price. A transparent and controlled approach to programmatic auctions enables an orderly evolution to an industry-wide auction construct (second-price, first-price, or hybrid model) that empowers both buyers and publishers to do business with confidence, knowing they can generate similar results from auction to auction. 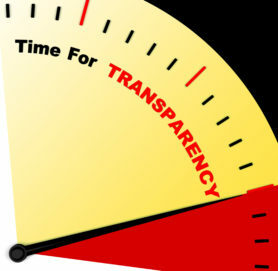 Howard Schultz once said that the currency of leadership is transparency. As we look to the future, advertising leaders must demand it, and technology partners must be expected to provide it. And when we identify areas that fall short of our collective expectations, we must act together to ensure the interests of a quality, fair, and transparent marketplace take precedent. If the industry adheres to these crucial criteria, there’s no reason that the future of programmatic buying can’t become the way that the vast majority of ad dollars are distributed across all media types.